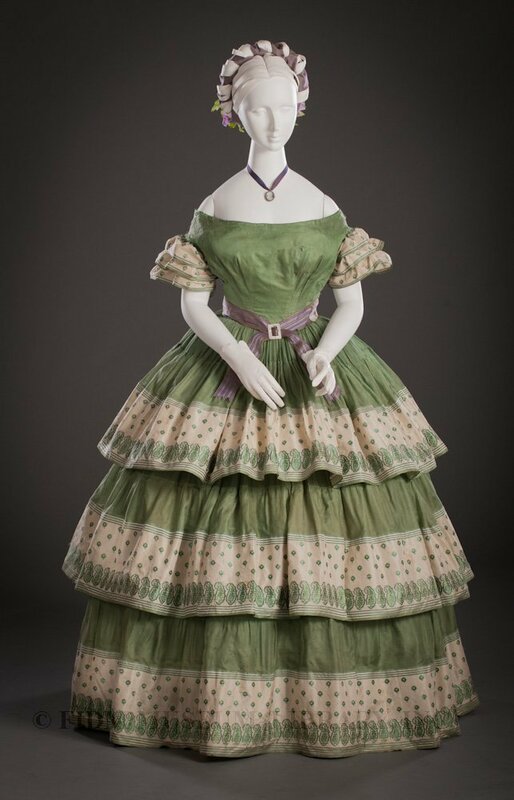 This week’s Rate the Dress tones down the colours, with an 1850s dress in fresh green with touches of white and small formal paisley motifs. From contrast to calming green: how will the ratings compare? Well, moths were all the rage on most of the internet last week, but not here on Rate the Dress! With very few exceptions the ratings were #teammothbowsarebad. The colours were actually pretty popular, and a few people really did like the dress wholeheartedly. The rest of you? Not so much! Ouch. Even the rating is giving the dress side-eye. The overall style and silhouette of the dress is much simpler than last week: a classic second-half-of-the-1850s ballgown silhouette, with tiers of ruffles either woven a la disposition, or edged with a wide border print ribbon. The border features a highly fashionable paisley motif, with a slightly blurred aesthetic that indicates it was created with a warp printed weaving technique. 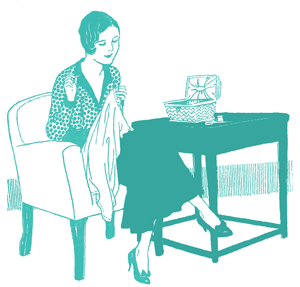 The three tiers of the skirt are echoed in the sleeve tiers, and the three darts that shape each side of the bodice. 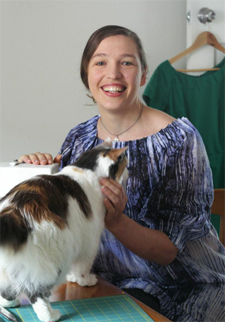 The simple fitted bodice has either lost its berthe, or never included one. FIDM suggests this gown may have been paired with a Kashmiri shawl, for a paisley-on-paisley look. 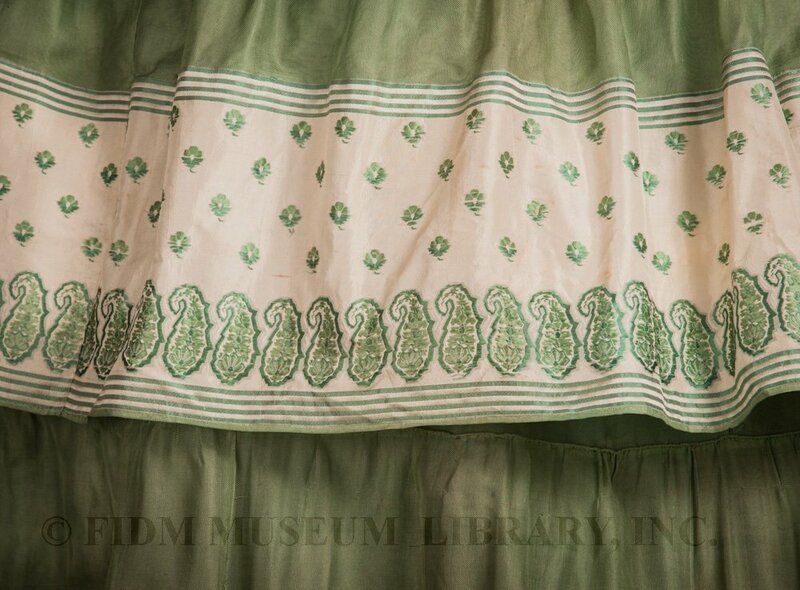 However, paisley shawls had ceased to be fashionable evening accessories in the early 1830s, and fashion plates of the 1850s & 60s almost exclusively show them paired with daywear, so a wearer with any aspirations to being a la mode would likely have avoided such a combination. What do you think? Fresh and just fashionable enough to be interesting, or too much like too many other 1850s dresses. Or perhaps there can never be too many tiered, ruffled 1850s dresses? I can imagine how your heart sang when you saw the paisleys. I appreciate the muted colour palette, especially the green. Very much of the period so not my usual cup of tea but somehow this dress works. I like that the pink is the contrast colour and not the main body of the dress. The ruffles get a thumbs down but somehow even those work against the simplicity of the other style elements. It is somehow over the top yet simplistic all at once. Rather clever. 7.5 out of 10 from me. I give it a 9. I love the bordered print and the repeating of the ruffles on the sleeves. It is stylish and playful. I love the green of the fabric. Spring greens are great! And the paisley motif border is so elegant, tasteful, and restrained, but provides just enough contrast with the solid spring green to be interesting. On the other hand, the tri-ruffled sleeves are over the top, and not in a good way. They take the dress over the edge into self-parody. Moreover, I’ve never been a fan of the tri-ruffled skirts fashionable in ball gowns at the end of the 1850’s. Yet it seems unfair to judge this one too harshly. Based on the plainness of the neckline, I suspect that there probably was a bertha that has since been lost. It seems pretty clear also that the belt was provided by the museum and was not originally meant to be with this gown. With a elegant cream-colored bertha and a matching sash, this would have seemed the thing for a young woman to wear. As it is…. I wonder how a person can tell that the belt isn’t original? Lettuce and Mayo!! So pretty! I really like this. I do wish I could see it with the original bertha and belt. The paisleys are so cute, the colours really balance to my eye. It’s quite simple, but I still like it. No wonder i love it, it’s delicious! There’s something about this dress that makes my inner child really happy. I think I assumed adult life would involve more balls, and therefore more gowns like this one. oh yes, me too 🙂 I thought we’d all just be pulled along to grand events, season after glorious season! I didn’t think I’d have to be intentional about it any more than I’d be intentional about making the sun come up! The only planning I anticipated was for intimate old-fashioned tea parties with bosom companions! As soon as I saw the preview shot, I thought, “I am going to love this one,” and I wasn’t wrong. 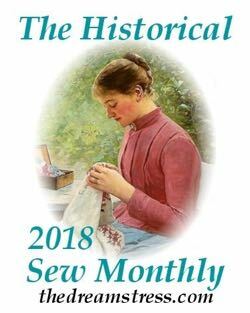 I’m on board with the poster who wondered if perhaps there was more to the bodice/neckline originally, bot other than that, I can’t find a lot of fault with it. It isn’t quite a perfect ten, but it’s no ugly stepsister, either. It’s so me! Color, ruffles print…if I were a kid again I’d wear it to prom. 10/10. I’m not sure about the colour, nor am I a massive fan of the tiered sleeves with the tiered skirt. I do however like the neckline. It’s adorable, a simple silhouette with just the right amount of detail and delicious colours. Thank you SO much to the poster who commented lettuce and mayo. I was quite ambivalent about this, I’m not keen on this particular shade of green, but I thought it was an OK dress, nice for what it was, yeah, missing a bertha, not sure about the belt, OK I suppose…. Then I glimpse the words lettuce and mayo. I have a pathological loathing for mayonnaise at the best of times, and I especially hate salad cream on salad. It all makes me retch and gag and generally feel vommy. I didn’t particularly feel this dress much, but now I can only look at it with utter repulsion and loathing. To be fair, I probably wouldn’t mind it as much in any other colourway, even a different shade of green maybe, but…. I’ll give it an extra point for technically being OK and not being able to help its being in such pukey colours. 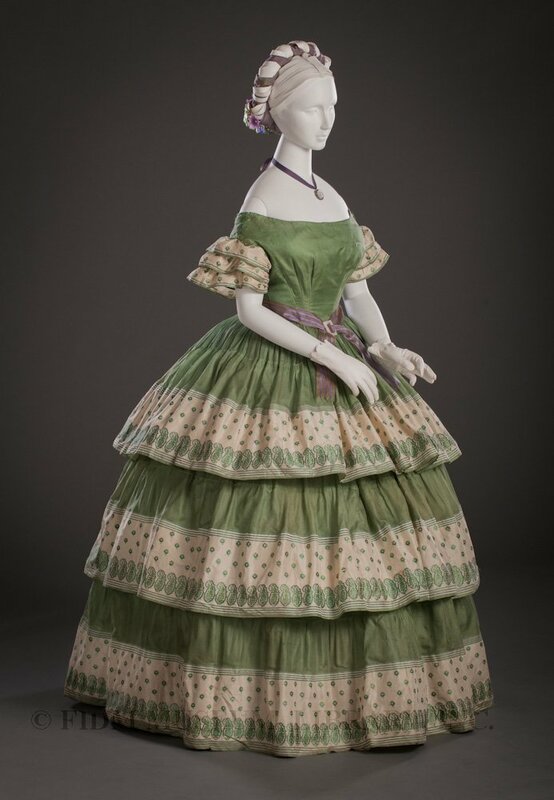 Put me in the category which asserts that “there can never be too many tiered, ruffled 1850s dresses.” I love the shade of green, the contrast of white, every little detail of the woven ribbon, and the classic shape and style of the hoop-skirt dress. My one disappointment is the lack of anything going on at the neckline, which could easily be fixed with a choice accessory. 9/10, because I’m trying to be conservative with my 10s. The fabric is delightful. I do wish the neckline was a bit more in keeping with the rest of the dress; perhaps there was a wonderful jade/pearl necklace? I’m imagining that. I love the colours but the ruffles really don’t do it for me. I don’t like the neckline, either, though I do like the belt at the waist. I lean towards 5/10. 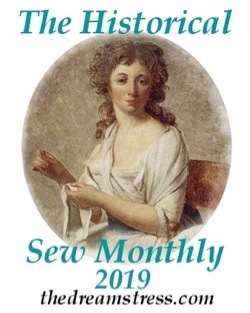 I find the colors lovely and reminiscent of the first leaves of spring (to get away from the culinary theme), and the tiered ruffles make me think of youth. When I saw the detail photo, I thought this would be a patio dress from the 1960s. The overall dress disappointed me a bit when I saw it. I’ve worn this neckline, and I felt it was a bit uncomfortable and oppressive. So I felt sorry for whomever wore this. But I can’t take points off for items that generate empathic discomfort. Fashion is often uncomfortable. When I saw the detail photo, I thought it would be a Regency (1800-1810s) gown. I too was disappointed! Here’s a third view, more full front. I like it. It would have looked great with the peridot or pearls that were fashionable then. This is one I can’t really explain why I like it except that while working in the fluffy ruffles of that era, it has a restrained balance to it that is appealing. -.5 for the pink or mauve belt. It goes with nothing on the dress. Beautiful colors, beautiful fabric, love the darting, the tiers, the belt, the thickness of the gathers, how the three sleeve tiers echo the skirt tiers… but the colors and patterning where the sleeves meet the bodice distracts me. On the skirt, the ruffles and paisley and little stripes soften the contrast of the two colors, but the lack of those elements make the sleeves look extra tacked-on. Overall, though, it’s very fresh and pretty and I feel wistful.. oh, to be 18 in 1855 and dance to the music wearing this! I love the colours, but don’t care for the sleeves, a single layer would have been perfect.